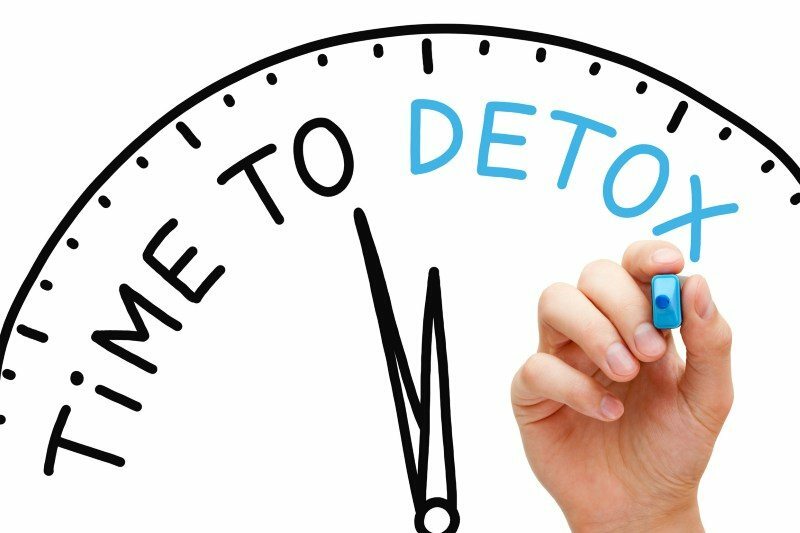 How Does Magic Detox Work? Why Shouldn’t You Cheat A Drug Test? What Are THC Detox Kits? What is a THC detox kit? A THC detox kit is any detox program that flushes weed out of your body completely. 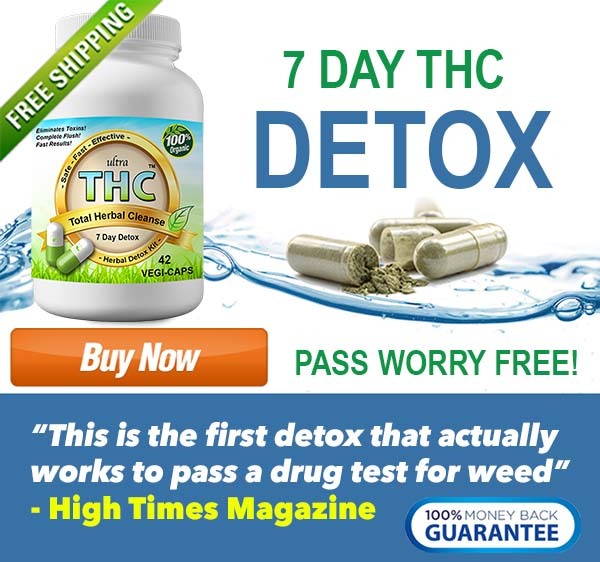 The best Detox products differ from many other products used to pass a drug test because they are designed to fully detox your body and not mask or cover up the THC toxins in your system. The majority of THC detox kits are sold in capsule or pill form and are usually used over a 7-10 day period. Detox kits for weed are most commonly made up of detoxifying herbs and herbal extracts that will cleanse the body of marijuana and THC. The best detox kits use strong cleansing herbs that are scientifically proven to help anyone pass a drug test. Why should I use a THC detox kit to pass my drug test? If you are looking to pass a drug test for weed or any other drug it could be very beneficial to consider using a THC detox kit. A full system detox kit will aid you in removing all traces of drug toxins until you use again. Most detox products do not fully cleanse the body enough to pass a drug screen. A good THC detox kit will have clear instructions and will gently cleanse you over a period of time, usually 7-10 days. Detox drinks, and home remedies to pass a drug test simply do not work and will lead you to a failed test. Where can I buy the best THC detox kit for weed? THC detox kits are sold online and at stores such as GNC, Walmart, and CVS. We highly advise you not to buy a detox kit from GNC or Walmart. The kits at GNC are ridiculously expensive and do not work as advertised. This is because they are meant to be used as a weight loss supplement and colon cleanse. Walmart and CVS also sell detox kits but these usually are generic type products with no guarantee and little supporting proof that they work. It is extremely important to buy a THC detox kit that was specifically developed to help pass a drug test. These products use different ingredients to target THC toxins in fat cells and fully remove them. How do I use a detox kit to flush weed out? A good THC detox kit will have clear and precise directions for use. It will most likely have you take 3-4 capsules a few times a day for a week or more. Do not use any detox product that does not clearly outline how to use it. Take the capsules at the same time everyday. Drink lots of fluids during the detox week. Eat lots of fruit and veggies during the detox. Exercise daily to help the detox process. Drink one cup of green tea daily. Get at least 8 hours of sleep. When is the best time to start using a THC detox kit? If you know that you will be drug tested or might be tested soon it is best to start your THC detox as soon as possible. You must not use marijuana during the detox and for best results it is important to completely finish the whole kit. 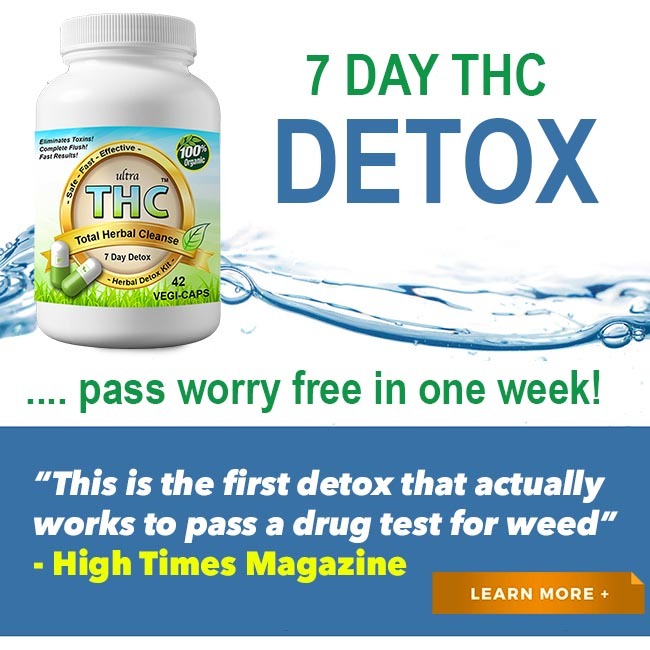 Since a full body detox completely and permanently removes all THC toxins you will not have to worry about failing a drug test even weeks after you have detoxed. This is why we highly recommend detox kits over any other method of passing a drug test. If you are looking for the best selling detox kit for THC please consider our product Ultra THC Magic Detox™. 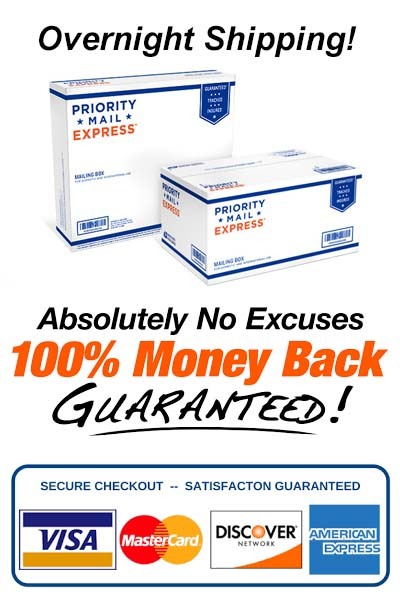 It was developed to work in 7 days and has a 100% money back guarantee. We are the only detox company to offer this because we know it works! Read below to learn more about how Ultra THC Detox™ can help you pass! 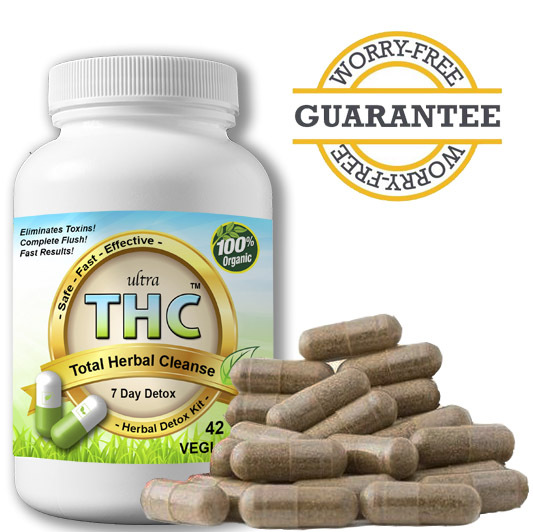 Ultra THC Marijuana Detox Pills will flush your body of any unwanted Marijuana / THC toxins. Our THC Detox Kit contains the most powerful exotic herbs developed to get marijuana out of your system fast! We have been in the detox business for over 10 years and strongly urge you not to buy detox products from a sketchy head shop or shady online business with no accreditation. We have heard horror stories! Don’t waste your time, money, job or freedom on unproven drug cleansing products. Ultra THC Marijuana Detox Kit will flush marijuana and other toxins out of your system in as little as 7 days! Don’t trust other brands that claim their products work instantly. Instant weed / pot / marijuana detox products are a scam and only mask the THC in your system. And remember, it is illegal to use any product that alters the results of a drug test or masks the marijuana in your system for a court ordered or government employment drug test. Most employers will simply terminate any employee found cheating on a drug test for marijuana. Examples of illegal products are: Fake urine, somebody else’s urine, and “cover-up” products that mask or alter the marijuana in your system. All drug tests for weed are very sophisticated and can detect fake urine or masking agents. Removing THC from your system naturally is the only reasonable, honest, legal solution. “Just finished the detox program and passed with no problem. This is the third time I have used this product. I would like to thank you guys for a great product. Much better than the stuff you get at a head shop. I was a daily smoker, 190 pounds.” — Seth B. What is your company’s history? What to expect during a drug test? Why not just cheat a trug test? What are “THC detox kits”? Do detox pills work to pass a drug test? How long should you detox your body? How to pass in 7 days guaranteed? Is THC really considered a toxin? Can detox pills remove all THC? What to eat before your drug test?